Browse through our POS library to find materials to enhance your business. They’re all free. Topics include mobile POS, restaurant technology, ecommerce operations, omni-channels, ecash, inventory management and more. Since 2014, EMV has become widely adopted across the United States, as it presents a higher level of security than swiped transactions. In October 2015 liability of certain fraudulent transactions shifted from the card issuer to the merchant. Since then, adoption of EMV by the hospitality industry, especially among lodging establishments, has been slow. There is not one single reason why, but rather a myriad of contributing factors. Learn more about these factors and challenges faced by the Hospitality industry. Mobility and payment are hot topics in retail, With tablets making major inroads into store environments and mobile wallet finally gaining traction, transactions can occur anywhere increasing convenience for customers and giving retailers exciting new options for point of sale. Missing from the mobility hype is a simple fact: Cash remains king for many consumers. Retailers must be prepared to accept payment in whatever form the customer wants, or risk losing the sale. Experts say cash will remain a popular choice among consumers for quite some time to come. The Selection of a POS System is a Critical Decision that You and Your Business will Have to Live With for Many Years, We Can Save You Time, Money and Aggravation! DEFINE your POS system requirements based on your management style, restaurant type and facility limitations. 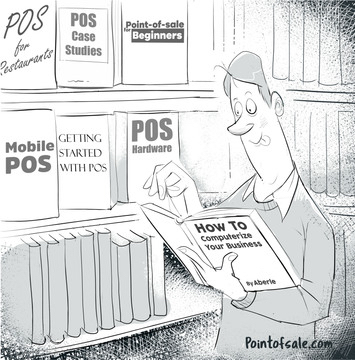 COMPARE only the POS systems that meet or exceed your defined POS requirements. NEGOTIATE the Programming, Training, Onsite Support, Staging, Shipping, Warranty, Ongoing Service and Support in addition to the Investment. The Restaurant Technology List has been compiled by POS Advice and is updated routinely. Restaurant POS Developers are the first list and the major category of the Restaurant Technology List. The Restaurant POS Software List includes over 200 restaurant POS software solutions with their website and phone number for your convenience in contacting these POS providers. Our Pricing Comparison includes 20 POS systems designed for table service restaurants, bars and clubs. These operations typically require a more sophisticated POS solution and we have focused on table service solutions that are available on a Software as a Service basis. Most systems are available on a monthly basis and we have detailed that pricing based on one, two and three station configurations. Investing in a point of sale (POS) system is one of the best things you can do for your business, but with so many options on the market, how do you determine which POS hardware and software best suit your business needs and your budget? This guide can help you get on the right path to finding the perfect POS system for your business. We have compiled a comprehensive list of beers, cordials, liquors by brand, mixed drinks and shooters to save you many hours of list creation time while providing your POS provider with a bar inventory POS programming worksheet so they can program your bar menu items and prices. Restaurant POS And A Whole Lot More! Use our “Restaurant POS and a Whole Lot More!” white paper to learn what a restaurant POS system can do for your restaurant. Choosing and purchasing a POS system is one of the most important decisions that you make as a restaurateur. And if you are like most, it is one of the last decisions you make before opening a new location. All the many other decisions you’ve had to make regarding décor, equipment and menus are usually done or in the works, along with a dwindling budget, before you turn your attention to a restaurant POS solution. Yet this important decision will have both a short and a long term impact on your business. The restaurant POS system is the heart of your restaurant operation with all control and management functions interfaced to the POS system. Read more about these choices in our white paper below. Our free Restaurant POS System Investment and ROI Calculator Whitepaper shows how a restaurant POS system pays for itself and then keeps paying you forever. The Return on Investment calculator only uses hard numbers and doesn’t count faster customer service, the management reporting or the peace of mind a POS system provides in our calculation but we do include a Return on Investment (ROI) calculator so you can see how long it will take your POS system to pay for itself. The consumerization of smartphones introduced what would become the key enabling technology to transform the transaction experience. Driven now by elevated customers expectations and competitive pressures, industry studies suggest businesses are making investments and taking steps to realize the promise of a transformed shopping and dining experience. Line busting has emerged as a trend among business operators seeking to improve the in-store customer experience to satisfy heightened expectations and fully leverage investments in mobile technology.